Muesli FODMAP? Here's the breakfast you should be eating! 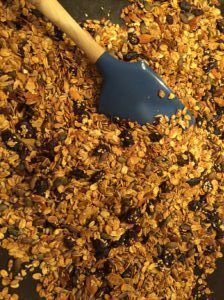 Another Gluten Free Breakfast low Muesli FODMAP muesli to enjoy that’s great for gut health. This one is a crunchy, fragrant, tasty breakfast treat. Want to know more about eating for IBS and gut health? Take one of our IBS Diet Programmes.